It’s time to grow your law firm by converting Google visitors into new clients and successful cases. You’re a top-notch attorney, and your firm is the best at what you do. You know it and so do we - but what about your prospective clients? Opportunity. Before prospective clients will hire you, first they need to find you. Getting your legal website in front of your target audience as much as possible - through organic search engine rankings, paid advertisements, social media, etc. - creates greater opportunity for expanding your reach and influence. Achieving Page 1 rankings on Google, specifically in those competitive top three spots, is a high priority since most internet searchers today won’t click past the first page. Authority. Not only must your audience find you, they also need to be sure they can trust you. Your legal website serves as your digital resumé, giving you the chance to prove your expertise, experience and credentials to potential clients. In addition to presenting your own case for why a prospective client should choose you over a competitor, your website should display “social proof” such as reviews from past clients and case results. For law firms looking to expand their reach and generate more leads from their website, search engine optimization (SEO) is a highly effective marketing strategy. At SEO Advantage, a certified Premier Google Partner, we speak both SEO and “legalese,” using our fluency in both to provide maximum benefit to each client. One of the ways we differ from other search engine optimization companies is our scientific results-driven approach and individualized SEO plans for lawyers. Your law firm is unique. You deserve a custom SEO strategy. Partner with search engine optimization experts who specialize in the legal industry. While referrals from friends, commercials and print advertising remain popular lead generation techniques among law firms seeking to expand their reach and broadcast their legal services, internet marketing practices such as SEO, inbound marketing and content marketing have become the most cost-efficient and effective methods for acquiring new clients. 70 Percentage of law firms that have generated new cases through their website. 33 Percentage of legal consumers who begin their search for a law firm by using online resources. Considering this data, how does your law firm’s website stack up to the challenge of capturing the most leads from this massive pool of prospective clients searching the internet for an attorney right now? If you aren’t prepared, then chances are one of your competitor’s will be. When it comes to the practice of law, you can’t take shortcuts. As a lawyer, you undoubtedly know this fact all-too-well. Likewise, “black hat” SEO tactics simply won’t cut it if your goal is to get your law firm website to show up on the first page of Google and outperform your competitors. To get the long-term results and rankings you desire, your website must meet constantly changing algorithm standards set by Google, Yahoo, Bing and other popular search engines. Many attorneys, like you, readily understand this concept. However, the reality is most lawyers are too busy running their firm and managing a heavy caseload to put in the time and effort needed to get their website copy, design and structure up-to-date. As round-the-clock scholars of SEO, our experienced team of legal marketers, writers, web designers, programmers and customer success managers are deeply knowledgeable on the latest search engine trends and algorithm updates, ensuring your lawyer website is in compliance and optimized for Page 1 performance. By executing various campaigns (including the tested techniques listed below), we are able to deliver measurable results to law firms looking to generate more client leads. In the SEO world, we have a phrase “Content is king.” Hiring a lawyer is a huge decision for prospective clients, and they want to make sure they are making the right one. Developing a dynamic content plan and filling your website with content that’s rich in information, interest and imagery is a highly effective strategy for building trust in your brand. Our skilled legal copywriters specialize in creating and updating blogs, articles, whitepapers, infographics, press releases and other resources. If content is king, then mobile is the prime minister. At least a third of all searches for legal services are done on mobile devices, tablets or smartphones. If your legal website isn’t optimized for this huge traffic pool, then you are surely missing out on potential leads and clients. Responsive website design means that your page content and layout will conform to whichever device your prospective clients prefer, making it easier for them to browse your site. A website’s backlink profile is a vital ranking factor for Google’s algorithm and other search engines. Earning links from authoritative sources (like .edu and .gov sites) provides evidence that your legal site can be trusted and is legitimate. As a result, search engines reward you with better rankings and, consequently, more traffic. Through our active outreach program, directory submission and other link building techniques, we can quickly build a competitive backlink profile for your site. What are the keywords and keyphrases you want to rank for? How does your law firm’s website stack up against the competition? Knowing which search terms your prospective clients are using and what other firms are doing to capture this traffic is critical to envisioning the roadmap to your long-term success. By mapping out which keywords are most valuable, we can help your firm outperform the competition and generate quality leads. The average prospective client for a law firm spends around 16 minutes per hour on social media networks. Platforms like Facebook, Twitter and LinkedIn hold powerful SEO potential for lawyers with the foresight to engage with their clients via social media marketing. 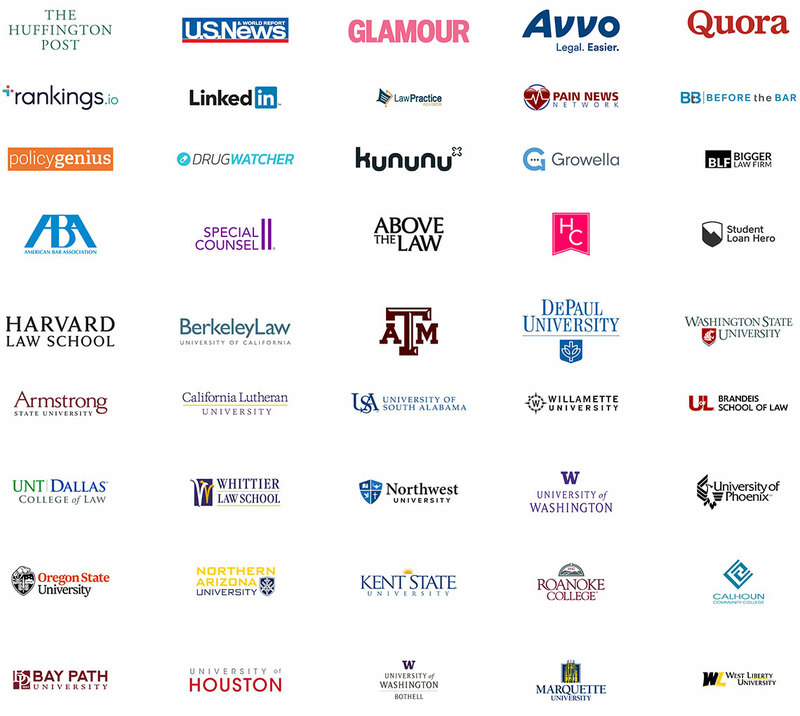 Law firms who partner with us benefit from boosted brand authority, transparency and trust, online reputation management solutions and a comprehensive list of social media optimization services. Measuring the success of your internet marketing efforts is essential to determining if they’re paying off. We conduct constant testing and analysis to get a pulse on the most efficient and effective strategies for your firm. While certain techniques have often proven to be effective in our years of experience working in the legal sector and SEO, each law firm is different. Our analytics allows us to see what works best for your individual and develop a custom marketing plan. A question we commonly get asked by lawyers and other prospective clients is: How much does SEO cost? SEO is a dynamic process that must change to reflect the hundreds of algorithm updates rolled out each year, so determining a cost amount is dependent on a wide range of factors - including the condition of your existing website and your needs (like buying a car). 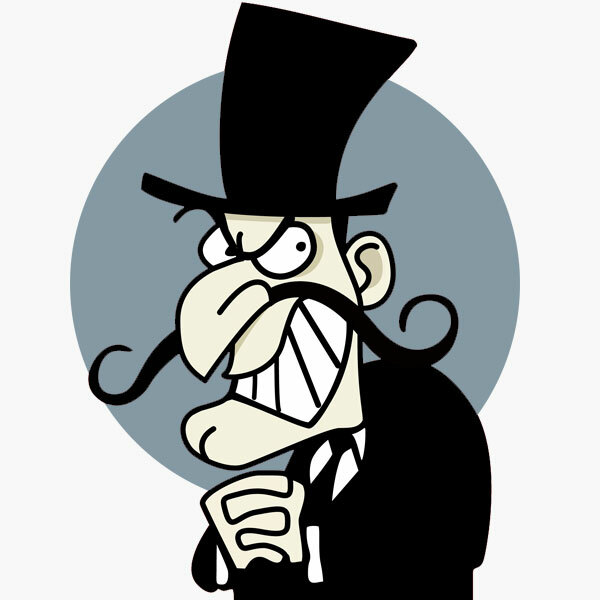 Any SEO company who quotes you a price without analyzing your site and goals isn’t legitimate. The better question to ask is: How much SEO is needed for my law firm website to rank on Page 1? That said, you can be certain that search engine optimization is one of the most cost-effective marketing investments available to lawyers. Unlike print and TV ads which disappear or get tossed in the trash bin after circulation, SEO campaigns like designing a mobile-friendly website design and publishing high-quality content remain in place long after they’ve been implemented, providing long-term benefits and a high ROI for each dollar spent. Our Guarantee: We focus holistically on each customer's Internet marketing activities with increasing revenues as the primary measurement of success. As an attorney, you must be meticulous. It also helps to be proficient in important skills like communication, creativity, analytics and research. At SEO Advantage, we understand lawyers and we run our search engine optimization company just like you run your law firm - with a healthy dose of professionalism, attentiveness and attention to detail. Don’t just take our word for it. Browse our portfolio to see our attorney SEO solutions for law firms like yours. When you are ready, contact us at (800) 366-1639 to learn more about us or get your free SEO analysis. From our firm to yours, we invite you to partner with SEO Advantage for custom law firm search marketing solutions that help you gain new clients and grow your business.